Steve started his working career in 1977 at Carrington Viyella as a machine and forklift operator. Steve fulfilled many additional duties until leaving in 1987. Steve then joined Ainscough Crane Hire as a Crane Operator as well as working as a slinger/signaller and Crane Supervisor when required. He operated cranes ranging from 8t to 500 tonnes, specialising in machinery removals. After 10 years working in the heavy crane division, Steve added to his duties as the company tackle inspector. His role was to supervise and allocate lifting tackle. To ensure that all cranes and accessories were compliant with their test and examination dates, also to deal with the taxing and MOT of company vehicles. All these duties were in addition to operating heavy cranes. 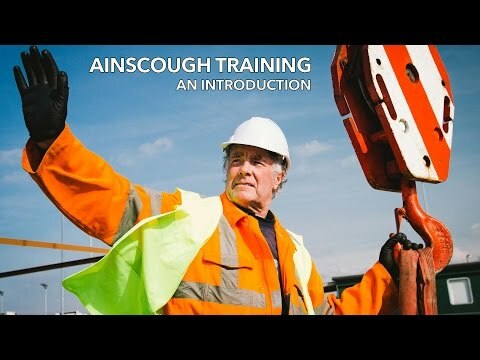 In 2001, Steve joined the training division of ACH which later became Ainscough Training Services Ltd. This role provided support and assistance to crane operators to achieve there NVQ in specialist plant and machinery. In 2002 Steve became an accredited CPCS instructor to provide safety training & legislation on lifting operations. Steve has vast experience and knowledge which he communicates in a friendly and approachable manner to our clients and candidates. If money was no object, list three things you would treat yourself to and why? A top of the range Mercedes sports car convertible, a detached house in a warm country near the sea with a swimming pool, a plane. Why? Because I like the luxuries in life!! Early morning - watching the sunrise and enjoying the peace and quiet. From being a crane operator to an accredited CPCS Trainer/Tester.